There are times when parents prefer to give their son lived at the grandmother and was registered there. However, in order to register a minor or an adult grandchild of a grandmother, it is necessary to consider a number of conditions. List the minor grandson to grandmother, if the apartment is privatized, and one of the parents has it share. You will not require the consent of other owners. Enough to present to the passport guy, the certificate on the property. You will be able to register a minor grandchild in privatized apartment, which was one of the parents, not the owner, only with the permission of the owners of housing. Even if the grandmother will not be against the owner of apartment and other property owners will oppose this decision, to register her grandson at this address you will not succeed. List the minor grandson to grandmother, if the apartment is municipal and one of the parents was on this same housing. However, you may not be permitted to register the child, if after the registration area attributable to each tenant housing will be less accounting norms. You will not be able to register the child to the grandmotherif at least one of the parents is not registered at the same address or has a share in the ownership of this dwelling. In accordance with the current legislation, a child under 14 years may be registered only to one parent. 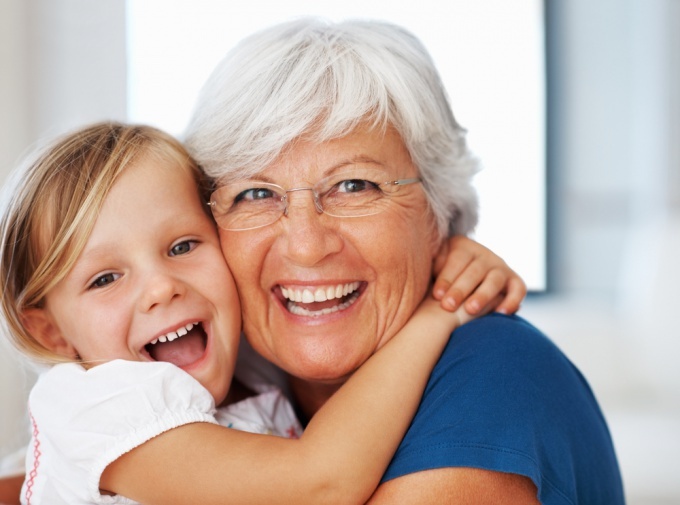 If a child is left without parents (they died or were deprived of parental rights), the grandmother will have to apply to the guardianship and guardianship for registration of guardianship. After that, she will be able to register a minor grandchild in your living space. If the grandson is older than 14 years but not yet 18, then write it to grandma at the request of parents, with her consent and with the consent of all co-owners or co-tenants of the apartment where she lives. If the grandchild has reached the age of majority, he is free to choose where to register. But to do it he can only with the consent of other family members written on housing or who are its owners. If the child is under 14 years of age, to register his grandmother , only with someone of the parents with the consent of the latter. This limitation stems from article 20 of the Civil code of the Russian Federation. At that age it can be prescribed for grandmawell flat and without parents. - document of title to privatized apartments and a copy financially-the personal account and an extract from the house register for municipal. 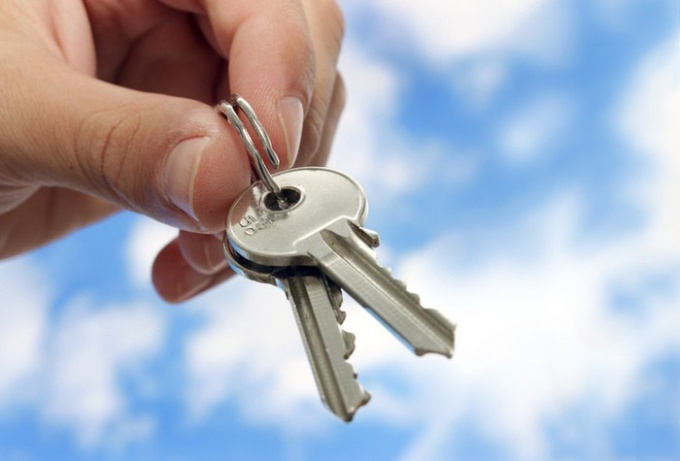 If the apartment is grandmother's privatized, it all depends on the number of owners and type of ownership. It is easiest when the owner of one. It is enough that he will sign the statement on granting of premises or gives the parent will sign a contract of gratuitous use of premises (the second option in practice is preferred). The contract signed by only two parties-the child is specified in the number of family members who will reside together with his father or mother. The law allows for its ordinary written form, but in practice it is better to certify the document management unit of FMS or by a notary. If the apartment owners consent to the registration must give to each of them. It is also certified by the notary, in the dispensation or FMS. The number registered in the apartment is not important. The right to vote have only the owners, regardless of prescribed they at this location or not. When registration in the municipal apartment the procedure is complicated. You need to prove the relationship (not necessarily close, the law allows to register in-law to mother-in-law, and daughter-in-law to mother-in-law) and provide the consent of all adults in the apartment, also notarized, in the dispensation or division of the FMS. The application for registration at the place of residence, it is possible to take in the dispensation or division of the FMS, download on the portal or to complete it online. The mother or father fills out an application for himself and child. With a full set of documents necessary to apply to the housing authority or Department of the Federal migration service. Unlike the procedure of residence to the grandmother of a child 14 years of age and older that he should take her myself: to contact the property management or FMS with your passport and yourself to fill out and sign the application. If one parent is already registered in the Granny flat, it may be prescribed to the child without the consent of other owners or the sole owner, and in the municipal apartment - tenants of the premises. Due to various family situations may need a permit grandchild from grandparents who are homeowners. It's one thing when in the same place spelled out the mother or father of the child, then the minor kid is automatically assigned at the place of residence of the parents, but what to do when the next-of-kin spelled out elsewhere, and the grandson lives with his grandparents. How to register a grandchild and whether it is possible to do issues which today concern a large enough group of people. According to the housing legislation of the Russian Federation, the landlord can give (prescribe) to the territory of their living space their children, grandchildren, other relatives only with the consent of all living (registered) in this residential area of people, even those that at the time of registration do not exist. If in fact the grandson living with his grandmother and/or grandfather, and the mother against the registration in the house of the elderly, then you can register the child, and for that you need to collect the necessary documents and submit them to the territorial body of the FMS. Gather your documents, such as personal passport, the passport of the mother or father of the child and the passport of the child (if available) or birth certificate, a piece of statement (departure) of the child from the previous place of residence, certificate from the place of residence of the parents or two references, if they are registered separately, the house register, a certificate for an apartment, extract from BTI, confirming the right of ownership of the premises or the contract of sale and photocopy, permission of the parents on the registration, certified by a notary and the documents confirming the fact that the child is living with you (for example, student ID if the child attends school in your community, etc.). Attention! If the child is under 14 years of age at the time of registration, it is also necessary to provide military ID or evidence of outstanding military service. Report to the registration authorities, together with his grandson, if his age has reached 14 years of age, otherwise, to appear in the bodies of the Federal migration service can without a child with all the above documents. Write a statement modeled on the registration of a grandchild, if you are the owner of the property, in the other case (if you are not the owner) will take your statement and the statement of the owner. Remember, prescribing grandson to yourself, you give him full right of use of premises along with all the registered persons, and to deprive such a right in the next possible only on the basis prescribed by the housing law or by court order.